APA style refers to a specific formatting style created by the American Psychological Association. APA is most commonly used by students and scholars in the social sciences when writing papers and citing sources. APA Style most commonly uses a brief in-text citation and a full citation on a reference page. Examples of APA citations can be found by source in the box on below or from the drop-down APA menu. 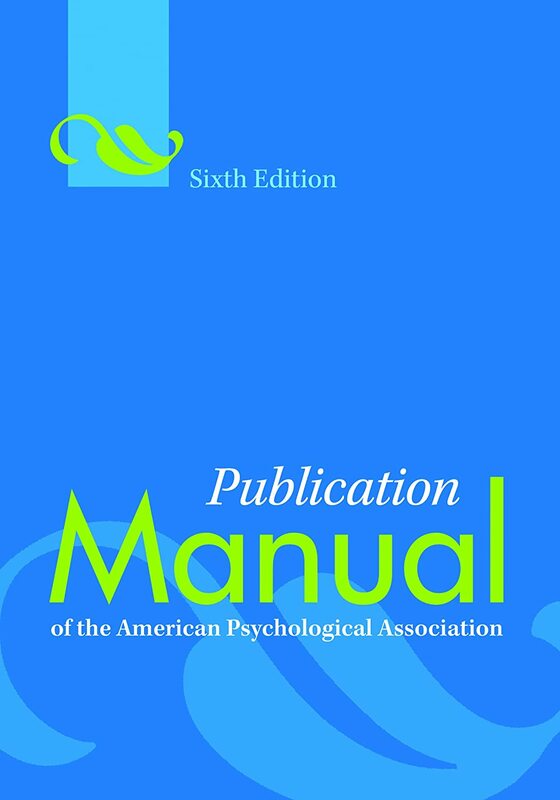 The Publication Manual of the American Psychological Association is broken down into eight parts covering all aspects of publishing. This is an introduction to publication types in the social sciences, like literature reviews, case studies, empirical studies, and articles of all kinds. This section also discusses the ethical responsibilities of the researcher, including avoiding plagiarism, respecting intellectual property rights, and how to handle situations like conflicts of interest and determining authorship. Social science research is presented using standard formatting so that all articles share a similar organization. This allows readers to quickly and more accurately absorb the information presented in the publication. Not only does this section explain the purposes and formatting for each section of a standard social sciences publication, it also provides some examples for your consideration. Learning to write in a scholarly voice that is precise and engaging takes time, effort, and helpful chapters in publication manuals that teach you the tricks of the trade. Learn how to present your research using appropriate terms and in a scholarly tone or discover once and for all what your professor meant when they said that your "verbs and subjects don't agree." Also discussed are the correct uses of punctuation, otherwise known as the correct uses of the semicolon and other fascinating facts. Learn how to format figures, tables, and graphs that illustrate your data. Learn when to cite, the difference between quotation and paraphrase, and how to obtain permissions from copyright holders. This section also describes the nuts and bolts of how citations are put together and why, from author's name(s) all the way to page numbers and DOIs. This is where you will find sample citations for a wide variety of source types. For any source type not covered in this online citation guide, check Chapter 7, and find the information to structure your citation. The last chapter discusses how the peer-review process works and your rights and responsibilities as an author.